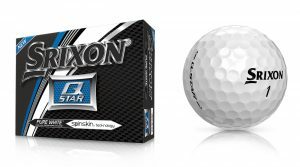 Recently, THP sent dozens of the new 2017 Srixon Q-STAR golf ball out to twenty forum members. The balls have been arriving and the reviews are starting to come in. The newly redesigned ball is aimed at players with moderate swing speed looking for a softer feel and plenty of distance in a 2 piece design, while not making a huge sacrifice in performance as you get closer to the green. The question most are asking is, how well does it work? That is where this review comes in as 20 regular golfers are putting them to the test right now and their reviews are starting to get written. Click on over to the THP Forum to see what they have to say. Cool, looking forward to reading the reviews.